Submitter: This one busts my buttons. This book was on the new book shelf at my local library. A microwave cook book from 1984! I hope they did not pay for it, and that it was a gift. Not as though that makes it okay. There has to be something newer and more current than this. Love the very 80’s photos. Holly: Even if it were “new to them,” it makes no sense to put this on a shelf that highlights new books. In fact, it makes no sense to even accept it as a donation. 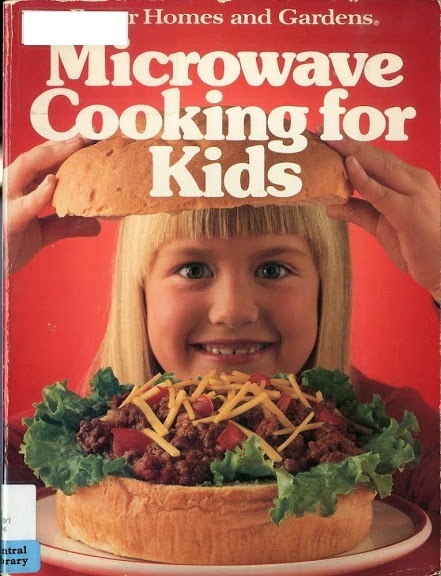 Cute kid on the cover, with the sloppy joe as big as her head, but this is way outdated. Is microwave cooking even a thing anymore? 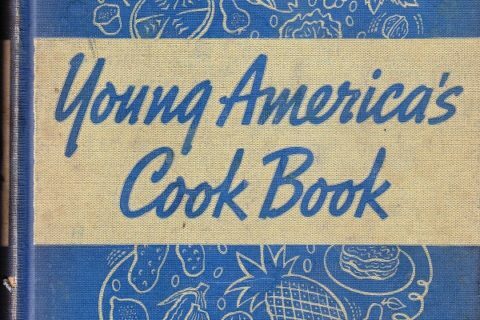 I imagine you might find one or two books in a bookstore at any given time, but I feel like the days of converting all your stove top and oven recipes for your microwave are past. These days they seem to be mainly for reheating and cooking frozen dinners. I can still remember the day one of my aunts insisted it would be easier to cook a whole turkey in her new microwave instead of her oven. It still took forever and came out a scary pearly white color. Kind of, but it’s more single-serving, cake-in-a-mug type stuff. You can find a lot of it on pinterest. The people who go for that probably wouldn’t find this book useful. 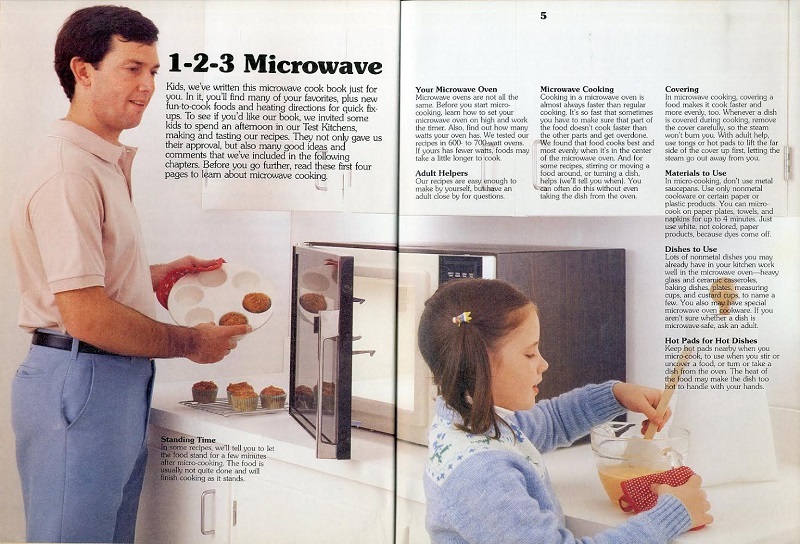 Apropos of nothing, that microwave the dad & little girl are making muffins in looks exactly like the first one my parents owned. We never used it for muffins, alas! We also owned one similar to that when I was a kid, circa 1994. Ours was a few years newer than that, but it looked awfully similar. On another unrelated note, it might just be me but I find that cover pic moderately disturbing. A lot of dorms will allow you to have, like, a microwave and a kettle, and very little else. 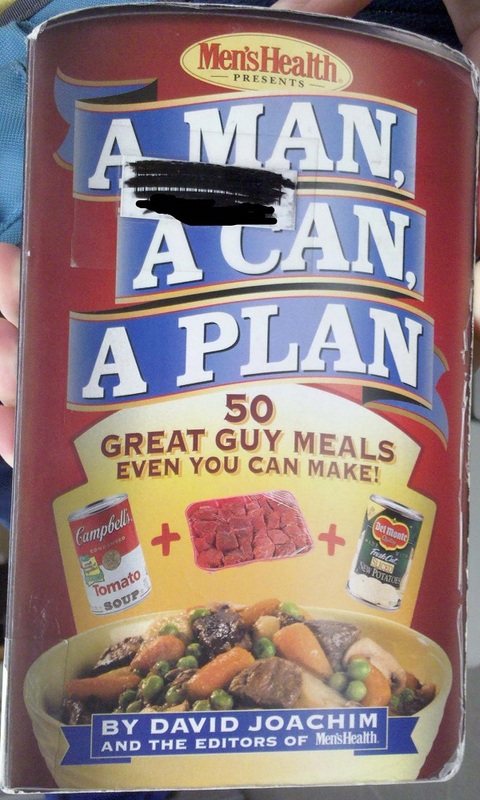 So college students often are looking for recipes. Plus there’s a subset of people who need low-spoons food, too. College was the last time I actually actively cooked in a microwave, so I’m familiar with that. I could actually make decent steaks in mine, but chicken never turned out any good. And somehow i was able to make mac & cheese and fettucine alfredo on a regular basis. After doing it on a stove for so long, I can’t even imagine trying to replicate boiling and sauce making in a microwave, but somehow I was able to do it back then. I think that I had this book as a kid, and I was born in 19 mumblety peg. I think my parents bought this one. The cover certainly looks familiar. I don’t think we ever used it. When my parents bought our first microwave years ago it came with a recipe book. One of them was for creamy mint candies that were actually pretty good. 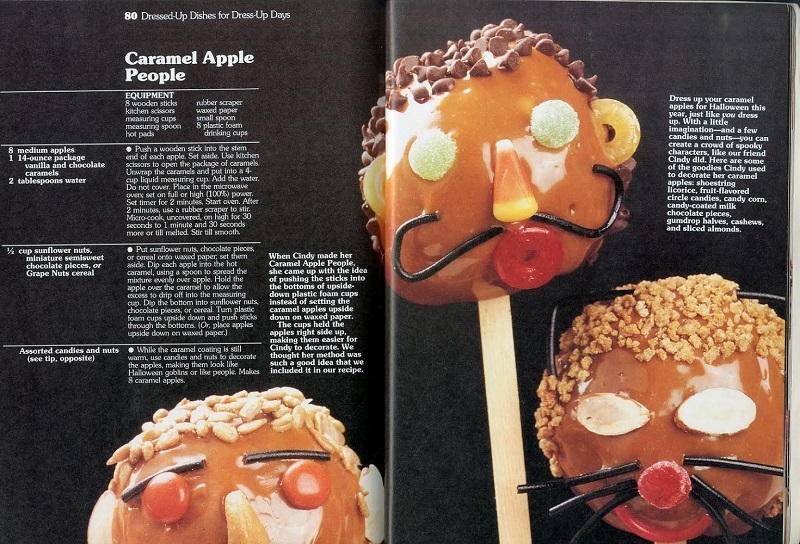 I wish I still had that recipe. But it also showed how to make roast pork and chicken and even suggested putting foil on certain areas to make them cook more evenly. I don’t think so. I remember when we got our first microwave and tried making roast pork, we ended up actually with, effectively, pork jerky. The main thing people don’t think about when it comes to older microwave recipe books is that modern microwaves are so much more powerful. 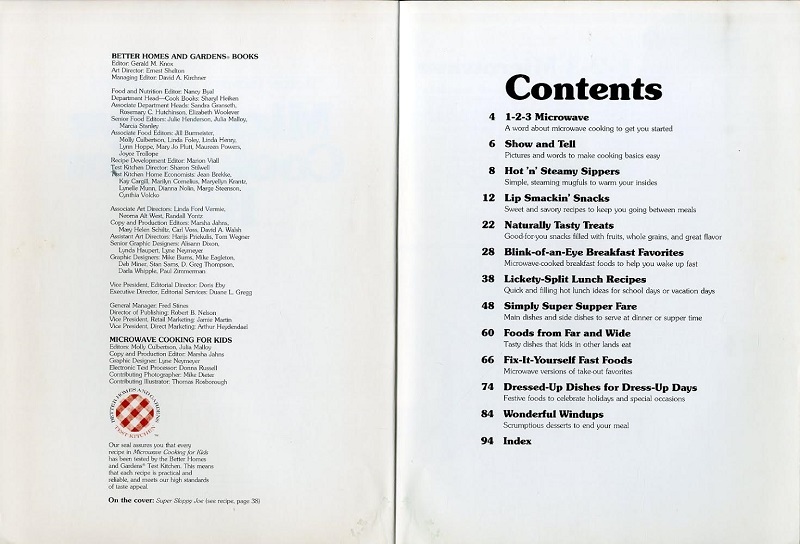 If you look in that introduction, these recipes were designed for 600-700 watt ovens. The norm today is 800-1000 watts. 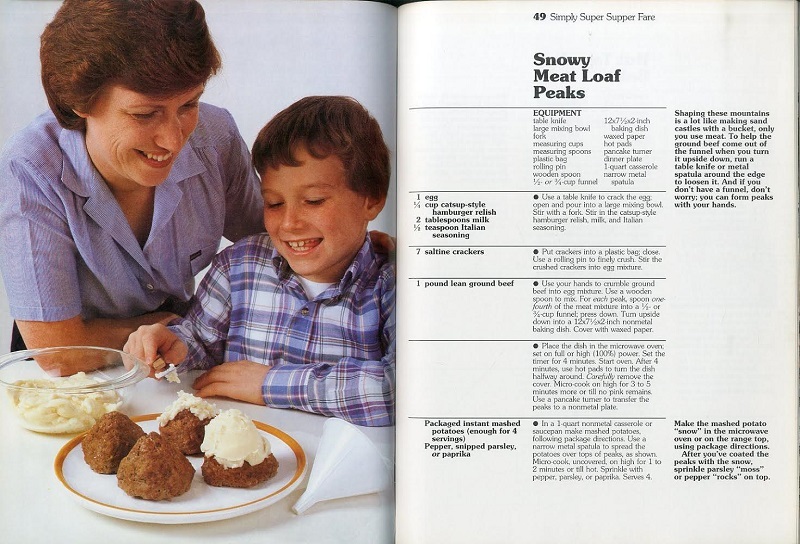 When this cookbook says “full power”, you’d have to set it to “medium” today. 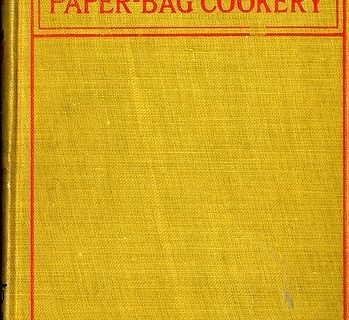 Otherwise, there’s nothing wrong with an older recipe book if it’s still in good condition. I’ve got a microwave book of about this vintage and occasionally use it.